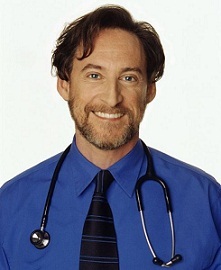 Dr. Harvey Karp is an internationally renowned pediatrician, child development specialist and Assistant Professor of Pediatrics at the USC School of Medicine. In pediatric practice, for almost 30 years, Dr. Karp has taught thousands of parents, from working moms to superstars like Madonna, Michelle Pfeiffer and Pierce Brosnan his secrets for soothing colic, boosting infant sleep, reducing tantrums, promoting patience and …making parents and children happy. Dr. Karp’s work is translated into over 20 languages and is taught by thousands of specially trained educators in Happiest Baby classes. These popular classes are available in hospitals, clinics, teen parent programs, postpartum depression clinics, father support groups, military bases and child abuse prevention programs in hundreds of communities across North America…and around the world.